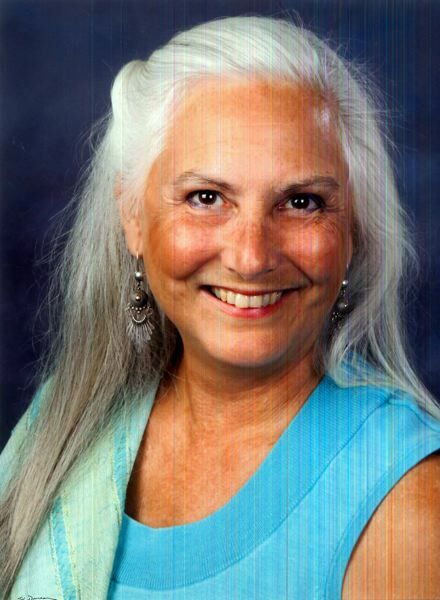 Jennings Lodge resident Nancy Gibson, chair of Oak Lodge Water Services District Board, and her husband suffered the complete loss of their house in a mysterious fire this month. 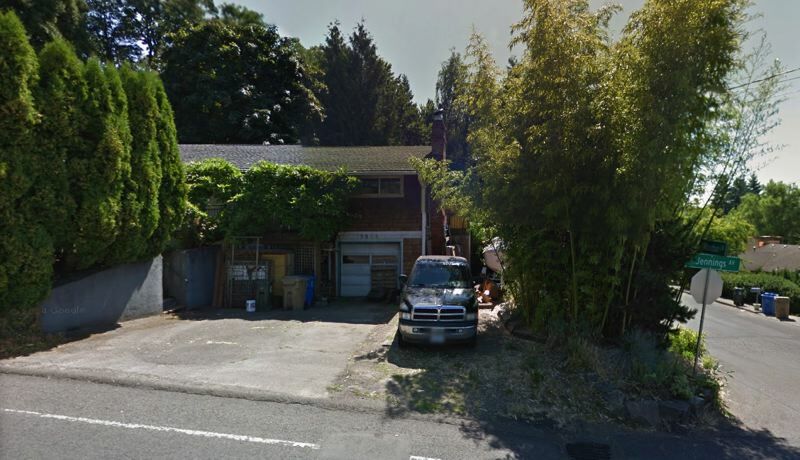 Two cars, their sailboat and their entire 1,242-square-foot house at 5884 S.E. Jennings Ave. were destroyed in the blaze. The couple said they had good homeowners' insurance for the 1961 house valued by Zillow at $345,000 that they've owned since 1990, but a fund has been created to help them with immediate needs and expenses that won't be covered by insurance. Gibson, who works in the technology department at the Fred Meyer headquarters, serves as the top elected official for the utility district with a $47 million annual budget providing drinking water, sewer service and watershed protection for about 30,000 people in Oak Grove and Jennings Lodge. Clackamas County provides police, planning, code enforcement, library, road maintenance and other traditional city services to the unincorporated area. Gibson's husband, Terry, also is active as a community volunteer. A state-registered landscape architect, he is founding board president and on the board of directors for Schoolyard Farms, a nonprofit educational organization that grows food on more than an acre of property next to Oak Lodge's Candy Lane Elementary and New Urban High School. He chairs Clackamas County's MAP-IT community visioning implementation team, which currently is implementing a $180,000 Metro planning and development grant for McLoughlin Boulevard near the Park Avenue light-rail station. 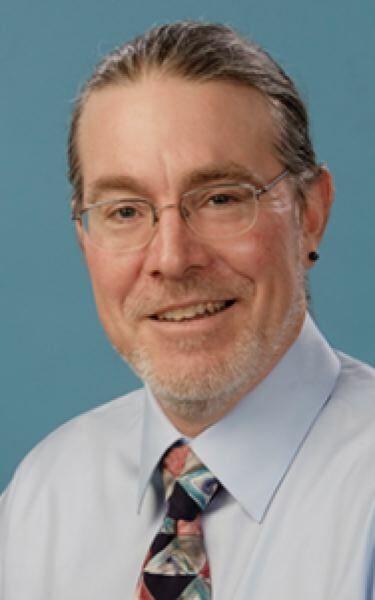 A member of the board for the North Clackamas Urban Watersheds Council, Terry Gibson was president of the Oak Lodge Sanitary District Board of Directors before it merged with Oak Lodge Water last year. By 11:30 p.m. on Oct. 16, the couple went to bed, but by 1 a.m. "there was a need to run for our lives." They said they woke a few minutes before 1 a.m. Oct. 17 by what seemed to be a weird light coming from their driveway area that turned out to be the fire. Although the Gibsons made it out of their house without injury, except for scratches from crawling through raspberries to get to their neighbor's house, their cat died from smoke inhalation. Redd, 10, was a stray female domesticated calico-type cat that showed up at their back door with a lot of long red hair. Redd would get lion cuts and prance about the place like she was saying "look how pretty I am" after grooming, Gibson said. Unlike most cats, she was a big fan of bear hugs. "The only two times I've broken down into a puddle was over the cat," Gibson said. Clackamas firefighters told the Gibsons that Redd was found dead near a sliding glass door that was cracked, but not wide enough for her to escape. The second time Gibson broke down was when Greg Philo of a Gladstone fire-restoration firm personally delivered Redd's ashes and she received the cat's paw prints and nose print on the death certificate. 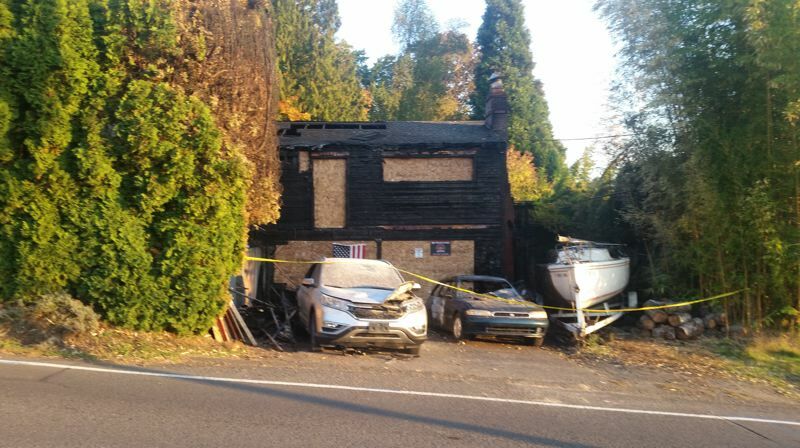 Potential combustibles included cedar shake siding, landscaping materials and a sailboat, but Clackamas Fire hasn't yet identified the cause of the fire. Gibson said firefighters told her that on the breezy evening there could have been an ember from someone's nearby chimney. "I've found lit cigarettes coming out to my car in the morning," Gibson said. "It's just human and an accident, so I just have to go with that, or I'd go crazy." 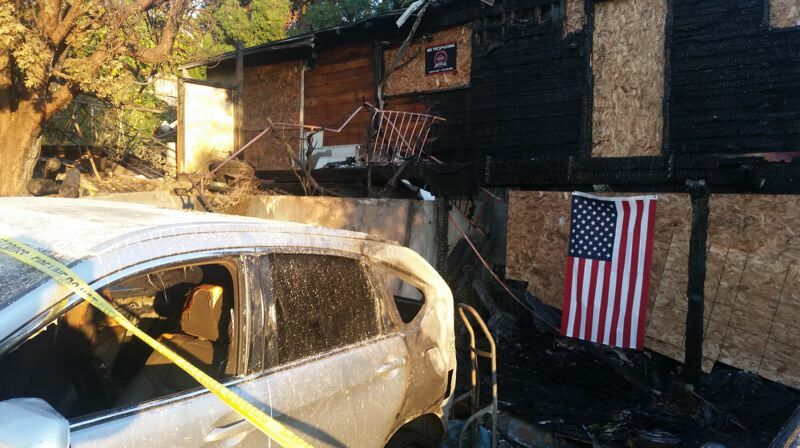 Clackamas Fire spokesman Brandon Paxton said investigators are awaiting a final statement from the homeowners' insurance company before making a determination. "It could very well go undetermined," Paxton said. At 4:30 a.m. Oct. 17, the Gibsons were able to get a few hours' more sleep at a neighbor's house. The nights of Oct. 18-22 they stayed at the Holiday Inn Express in Gladstone until they found a rental house in Jennings Lodge. Although the insurance company will pay for accommodations, it will not cover the cost of the food that was in their refrigerator or their large pantry stock (including a lot of home-preserved goods) that were lost in the fire. "This is a huge loss of income for us because Terry's not going to be working, and they don't cover lost wages," Nancy Gibson said. "We're continuing in all of our official capacities because that helps us stay sane." Terry Gibson added, "I was writing a bunch of grants for Schoolyard Farms, but lost my phone and computer [in the fire], so I'm and so have been desperately trying to get in there to finish up a grant that's due." The Gibsons say their car insurance only covered seven days of rental car, and Terry Gibson's car was worth a whole lot more to them intact than what the insurance company will give them for its estimated Blue Book value. "The community has come through for us, and I've only had to buy two meals so far," Gibson said. Donations can be made to the Gibsons' account by asking any teller at OnPoint Community Credit Union to enter in the "Nancy and Terry Gibson support fund" in the memo line of checks along with their address, 5884 S.E. Jennings Ave. OnPoint is located at the Clackamas Town Center, in Oregon City and at 2915 S.E. Oak Grove Blvd.